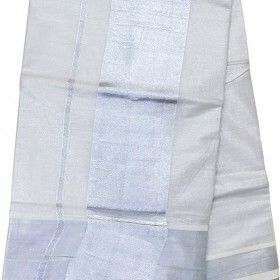 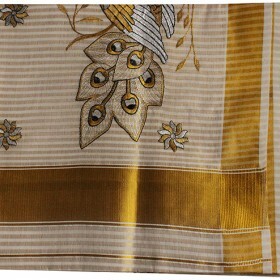 Off white cotton fabric Kerala kasavu traditional striped saree designed with beautiful black,g.. Traditional attire is mostly wanted by the women’s to give a simple Kerala traditional look, here is kasavu churidar with off white color having small butta work on the whole body. 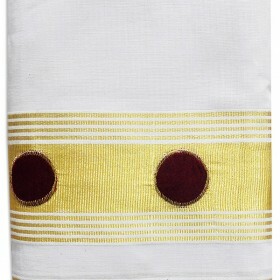 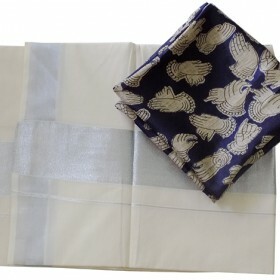 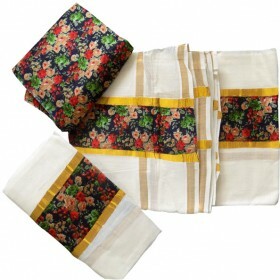 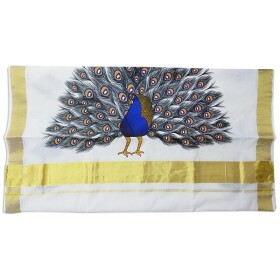 It has a variety floral kasavu work on the bottom of the top which makes exotic. 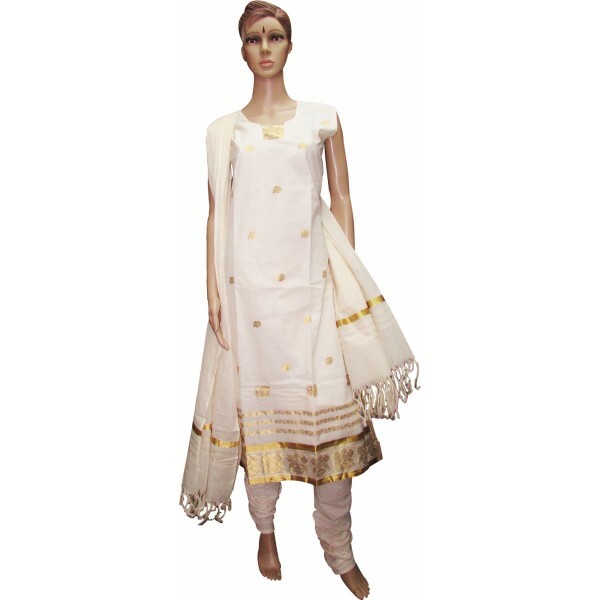 This is long top having crush bottom and dupatta with kunchalam. 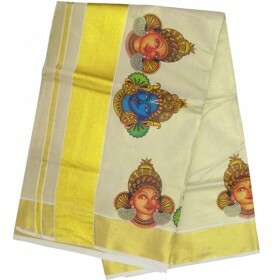 Along with matching jewels you look prettier in this kasavu churidar.